Little necklace, big bill! Kim Kardashian stepped out in L.A. on Wednesday, March 9, wearing a diamond choker necklace that read "Saint," her 3-month-old son&apos;s name. And now we have the details on the piece, starting with the hefty price tag. 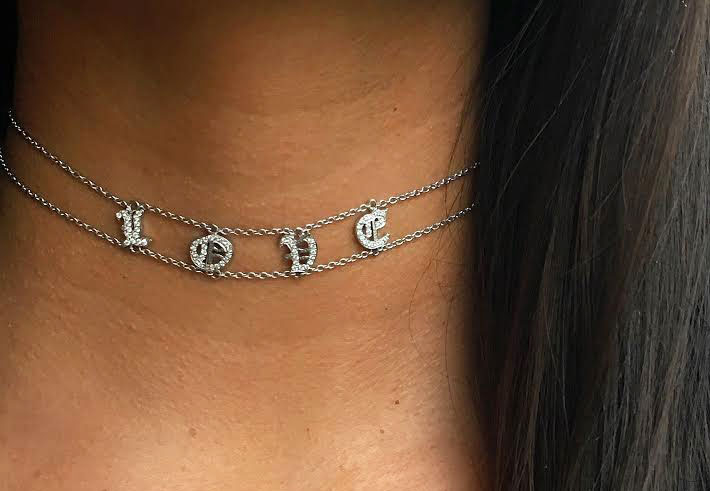 The 35-year-old Keeping Up With the Kardashians star&apos;s sentimental accessory is the Karma El Khalil Love Choker set in 18-karat white gold. The dainty chains are connected by customized diamond letters, each of which retail for $2,000, bringing the mom of two&apos;s necklace to $10,000. Saint isn&apos;t the only West baby to feel the love, though! After North was born in 2013, Kardashian was spotted wearing a delicate gold "Nori" necklace on multiple occasions, including while signing her book, Selfish, in May 2015.